ADEA invites all students with a special interest in diabetes and diabetes education to join us and explore a career in diabetes education. 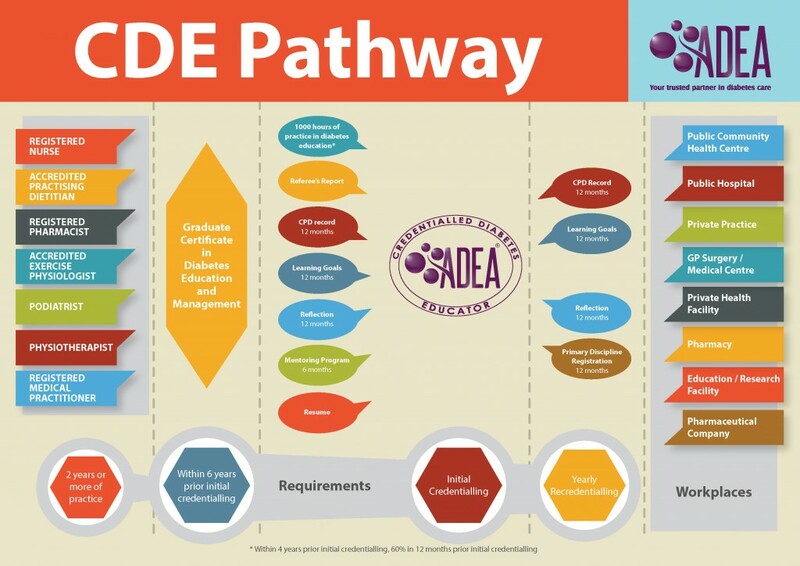 CDE Pathway: who can become a Credentialled Diabetes Educator and what are your career options? More information about the ADEA Credentialling program is available at Credentialling and Education. CPD activities: explore ADEA’s events throughout the year, including webinars, branch events and branch conferences. If you are working towards your initial credentialling application, you can claim CPD points for participating in some of these events.